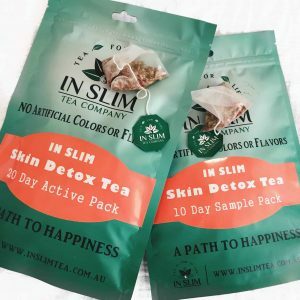 This special blend with Black Oolong tea as its main ingredient can effectively cut off the body’s absorption of fat in the foods we eat to help people reduce fat intake. It also assists your body to expel of toxins in order to achieve the effect of weight loss. For people who love tea or are familiar with Chinese teas, you probably heard of the powerful Oolong tea. It has countless health benefits. The reason why it is named Oolong is because the tea is different from ordinary green tea. It is very dark in color and shaped like a dragon. Dragon in Chinese is ‘Long’. Its deep color is due to its high strength tea polyphenols. Black Oolong Tea is one special type of oolong tea, which contains more than four hundred kinds of mineral nutrients, such as calcium, iron and magnesium. In order to further understand the benefits of Oolong tea, researchers carried out an experiment. They put it to test to a group of people whose sebum levels are above the average. After consuming the tea for a while, the results of fat content level before and after the experiment were 54.9μg / cm2 and 38.9μg / cm2 respectively, which presented a significant reduction. 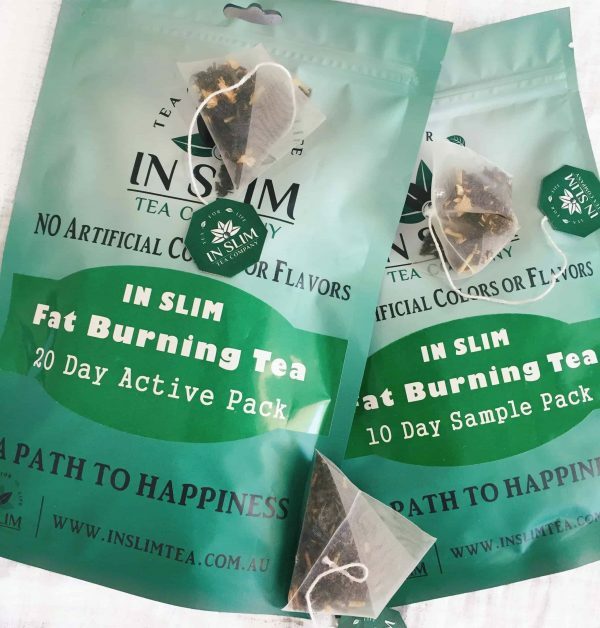 Imagine you double or triple the effect, which would be the magic power of our IN SLIM Fat Burning Tea! For its more benefits, please refer to its individual product page for more details. Other ingredients such as Puer Tea and Eucommia Tea have all been considered as powerful slimming agents for many hundreds years and have numerous other health benefits such as lowering blood pressure, blood sugar and cholesterol and many more. And the popular Jasmine Tea not only gives the tea an irresistible aroma, but also contains powerful antioxidants and a strong anti-cancer source. 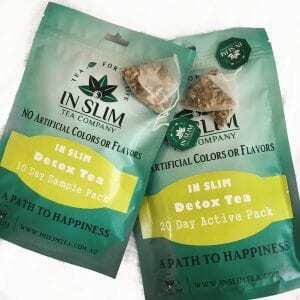 IN SLIM Fat Burning Tea are strongly recommended to consume in conjunction with our IN SLIM Detox Tea to achieve the maximum weight loss result. 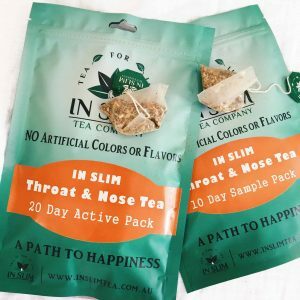 Unlike the Detox teas, it should be consumed daily with no break needed between packs. Black Oolong Tea as the main ingredient of this special blend can not only help you to lose weight, but also can effectively lower your blood pressure and slow or even prevent the ageing process. Therefore, it is not only a healthy detox tea, but also a therapeutic beauty tea! It is very rich in tea polyphenols, which plays a significant role in helping enzymes to break down fat. Polyphenols, in the medical field, are considered as essential substances which can effectively remove harmful free radicals and enhance enzyme activity, which makes it a strong source for preventing cancer and radiation. Clinical trials show that people who drink Black Oolong tea regularly have better physical conditions than others in general. In modern diet, unfortunately people tend to consume high proportion of fat content in their food, but by absorbing excess fat or oil will not only cause obesity, but also cause many chronic diseases. The amazing result shows that for people who drink Black Oolong tea regularly compared to those who did not, the fat content in their blood has a significant 20 percent less. In other words, black tea can inhibit the absorption of twenty percent neutral fat. This effect is very magical. Furthermore, they found that people who drunk the Black Oolong tea, the fat content in their stool is twice the person who did not drink the tea. In other words, the Black Oolong tea not only restrains the absorption of fat, but also helped substantially to expel the body fat, which is a magical double detoxification. Along with other well-known and popular teas such as Jasmine Tea, Puer Tea and unique Eucommia Tea, the power of this blend is beyond expression. Try it today, you won’t be disappointed! Taste to expect: Black Oolong Tea has a rich char-grilled and pleasant tea aroma, while the Jasmine tea and flowers gave it a beautiful floral fragrance. When to drink: Drink either 30 minutes before a meal or any time one hour after a meal to avoid possible digestion interference. Also, try to avoid drinking this tea at night as it may affect your sleeping due to the caffeine. Each tea bag has 3g, which is more grams/stronger than usual! As its high strength, each tea bag can be and should be used twice in order to release its nutrition fully. Please follow the Brewing Instructions (can be found in the Our Product page and the back of the packaging) carefully to achieve the best result.